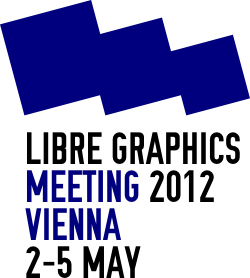 Preparations have started for the 8th international libre graphics meeting that will take place in Madrid, 10-13 April 2013. You can already propose projects for Interactivos?13: Tools for a Read-Write world. This prototyping workshop directly follows the meeting. More news here very soon! 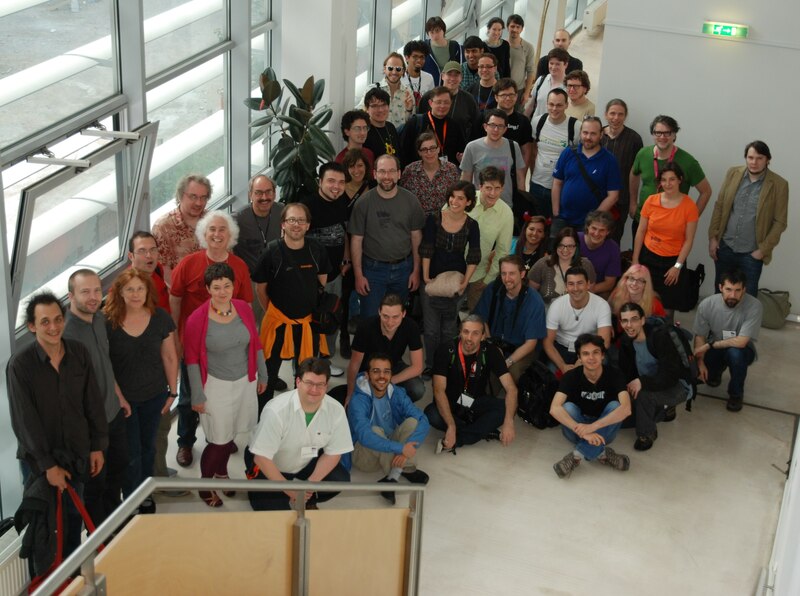 Edition eight of the Libre Graphics Meeting will take place from Wednesday 10 until Saturday 13 April 2013 in Madrid, Spain. LGM is welcome in Medialab Prado‘s brand new building in the center of the city, La Serreria Belga. Stay tuned for more news! See you next year in Madrid! This morning at 9:00 the LGM has started! Everybody is here, many took the time to enjoy some sightseeing under the hot Austrian sun and the first evening meetings have already happened at the Metalab and in our flats. Have a nice Libre Graphics Meeting! Starting from Jakub’s poster, Ale and Gnokii have created a new ad for the LGM 2012: download it, print it, spread it!